How to join and participate in the project? Together we do good and save lives! Every 8 minutes a child dies in a car crash somewhere in the world, and the injuries caused by such accidents are among the four main causes of death among children aged 5 to 17 years. The death of children in road traffic crashes is considered a global epidemic. In the Republic of Moldova, hundreds children suffer from road crashes. In 2017, 350 minors were involved in road traffic crashes, of which 12 minors died and 237 children were slightly injured, 80 were severely traumatized. More than 95 children involved in road accidents as passengers, in which 3 minors lost their lives. On July 12th 2013, new amendments to the road traffic regulations came into force in Moldova, which stipulate that children under the age of 12 can be transported only in a vehicle equipped with a special child restraint system (or other devices: a special booster regulated by height seat, which allow you to fasten seat belts). CRS use reduce death rate in 80% in the case of children and 70% in the case of infants. Although the law of the Republic of Moldova obliges the parents to use a special child restraint, they do not do it, and one second of inattention can be fatal to the little ones Ask yourself, how many of those you know think about safety of their children in the car or how many of them have a car seat installed? There are very few who know about it, who care or who have the financial resources to buy it. But you can influence the situation. It all depends on each one's attitude and the willingness to help! Now, through the given online donation platform, you can give the child restraint that you no longer need for a family and parents who are not able to buy it. Simply click on the “Car seat give away” button to change the life of a child. The child restraint will be subsequently inspected by the specialists of the Automobile Club of Moldova and donated to the families in need. If you would like to request a child restraint, you need to register at the baby4baby.org website by clicking on the button”Get a car seat”. You are a ‘click’ away to make a change! Join the charity social campaign "Kind child restraint". Give a child restraint, save a life! In 2018 the Automobile Club of Moldova (ACM) started implementing the "Kind child restraint" project within FIA Road Safety Grant Programme and FIA Action for Road Safety, funded by the Federation Internationale de l’Automobile (FIA) and FIA Foundation. "Kind child restraint" project 2018 focuses mainly on creation of the donation platform for the exchange of the used CRS by families. Its core aim is to provide low-income families with many children who may face difficulties with the purchase of the CRS for each child. The project "Kind child restraint" is conducted in collaboration of the FIA Clubs – ACM and BKA - on child safety and development of the similar platform in both countries Moldova and Belarus, and to share the project experience and success, extend the area and use of the web-platform with other FIA Clubs and Colleagues. In Moldova, the project is supported by the Eastern Alliance for Safe and Sustainable Transport (EASST) in UK, the Parliament of the Republic of Moldova, National Patrolling Inspectorate, Oratorul Theater, Mama.md, Recaro, Suntparinte.md, and Members of the National Road Safety Council of Moldova. The usefulness of car seats cannot be questioned given the road accident simulations that have that even sudden braking can lead to serious injury to the child. It is very important to choose and install the child restraint system correctly to ensure maximum protection in the event of sudden braking or road accident. Are you a good parent while driving ? Every eight minutes, a child dies in a car crash somewhere in the world, and the injuries caused by such accidents are among the four main causes of death among children aged 5 to 17 years. Are you a good parent while driving? Every eight minutes, a child dies in a car crash somewhere in the world, and the injuries caused by such accidents are among the four main causes of death among children aged 5 to 17 years. The death of children in road traffic accidents is considered a global epidemic. Being a parent is pure joy, but also an enormous responsibility. From the time of the child’s birth, parents must be cautious to prevent child injuries, also while driving him or her. The attitudes of parents are key reference points for children. To set an example, parents and other adults travelling in a car must comply with the law on the use of child restraints and seat belts by putting their seat belts on for every journey in every seat, as well as acting respectfully towards other road users and complying with road traffic rules. Therefore, car seats are not an accessory, but an indispensable precaution to ensure that the life of your child is not endangered during driving. If you consider yourself a truly responsible parent, you will always use car child restraints. Since July 12, 2013 a law has been in force in Moldova making the use of Child Restraint Systems mandatory for children under the age of 12 years old. Besides serious risk to a child’s safety, breach of this law may result in penalties of a fine of 9 to 12 conventional units and 3 penalty points. 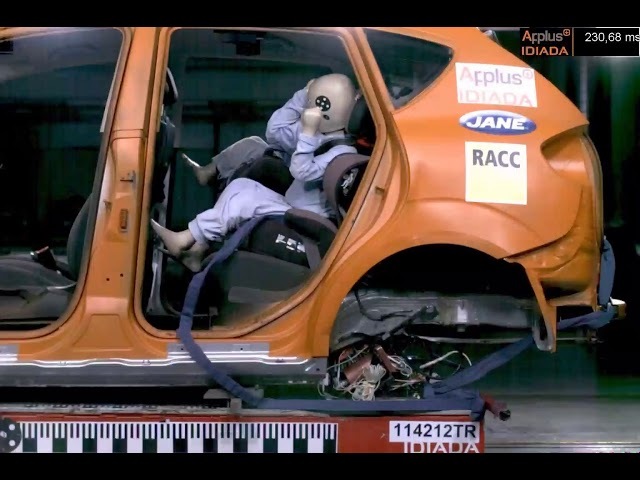 The usefulness of car seats cannot be questioned given the road accident simulations that have that even sudden braking can lead to serious injury to the child. Often, parents consider it normal to keep babies in their arms while traveling by car, which is absolutely wrong and can be fatal. It has been demonstrated that the instantaneous impact force of a body of 10 kg at a speed of 30 km/h is 167 kg and at 60 km/h – 335 kg, so it is obvious that you cannot possibly restrain the child with your arms in case of a violent impact. 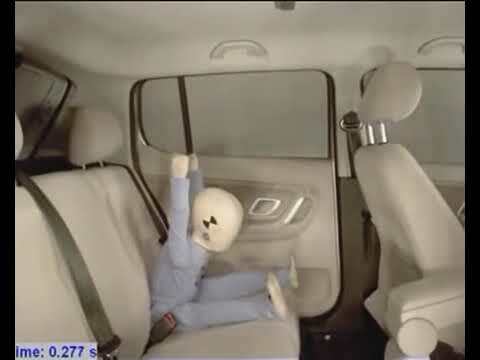 Meanwhile, child restraint systems (CRS) can reduce the risk of a child dying in a road traffic accident by about 90% for infants and 55-80% for young children (WHO Report 2015 source). It is very important to choose and install the child restraint system correctly to ensure maximum protection in the event of sudden braking or road accident. BECOME A 5-STAR PARENT IN THE CAR! How to choose and proprly attach the child seat? Choosing the right restraints system for your child is an important and responsible decision. Below are tips and useful information on how to properly transport your child in a car. Although the law imposes an age limit, the car seat is chosen depending on the height and body mass of the child. From birth to the age of 12 years, a child’s body undergoes an extraordinary transformation. Child Retention Systems (CRS) must adapt to these changes to offer the most effective protection at each stage of growth. 1. Group 0 and 0+ are used for infants or babies weighing between 0-13 kg because they keep the baby locked up in a rear-facing position. In the first months of a child’s life –up to approximately 15 months– a rear-facing child seat must be installed to guarantee protection of the head at a stage of growth when a baby’s neck and spine are not well formed. 2. Group 1 – designed for children weighing between 9-18 kg. This type of seat has its own integrated seat belts, which increases the child’s protection in the event of an impact. The seat is facing forward in the direction of travel. 3. Group 2 (a booster child seat with backrest) – recommended for children weighing 15-36 kg. They do not have integrated belts. To secure the child, you must use the safety belt of the car, which secures the seat and the child. 4. Group 3 (a booster child seat without backrest) – recommended for children weighing between 25-36 kg. To secure the child, you must use the safety belt of the car, which fits over the seat and the child. Before installing a child car seat, attentively read the instructions to make sure you are correctly fitting the seat. The consequences of poorly attaching it may be as serious as travelling without the appropriate device. The installation methods of a seat are: with the help of the car seat belt or with ISOFIX (LATCH) system. ISOFIX and Latch are considered the most effective child restraint systems. ISOFIX – a standard system for securing seat belts in cars, which allows the car seat to be fixed in a rigid position and during an impact it will behave like the rest of the vehicle comparing to the seat fitted with car belt. The system itself is relatively simple, namely the car seat is provided with two metal connectors on the back of the seat that hook, or anchor onto small metal bars fixed to the frame of your vehicle. Once attached, the car seat can be detached only by unlocking the system. For children weighing more than 15 kg, the ISOFIX system is used as a supplementary support device for car safety belts. LATCH – child seat child restraint system, which uses two lower and one upper gripping device. The LATCH system is used to facilitate the installation of the car seat. These are standard for all new cars since 2003, and are also available for older models. The rear car seat is the most highly recommended for both forward-facing and rear-facing child seats. 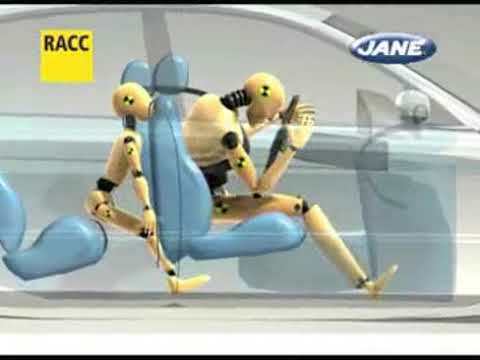 The middle position is the safest (farther away from potential side impacts and from rigid elements of the car), as long as it has a three-point seat belt, and then the side positions. 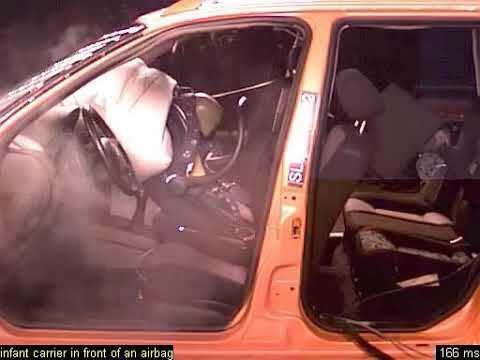 The least safe position is the front passenger seat, with the airbag deactivated. The law forbids transporting children in the front seat until the age of 12 years. Children can use the car seat belts when: 1) they are tall enough to sit on the seat in the correct position; 2) can rest on the back of the car; 3) can position their knees in a natural position over the car seat; 4) can rest with the entire foot on the floor of the vehicle; 5) the top of the safety belt passes over the shoulder and not the neck or face, since the risk of asphyxiation persists. Our advice is to use child car seats as long as the belt fastenings are correct (shoulder / pelvis) and not exactly until they reach the age of 12. Each child has its own growth rhythm and not all of them are sufficiently full-fledged at reaching the age specified in the law, so transport your children with adaptive systems until they can be properly fastened with the car seat belt. In your family you have at least two children.. Your revenue does not allow you to buy a car seat for the second child. You do not have a car but travel to another country for holiday purposes (or other). The selection is organized every two weeks by using www.random.org . If you have been selected, you will be contacted by our specialists to specify all the details. The car seat is donated for free use on a contract basis for a period of one year. The child restraint systems will be donated within the available stock limit which is directly dependent on the number of seats received as donations. The baby4baby.org platform acts as a collecting point of car seats from those who want to donate, to those who need one. If no one donates, no seats will be forwarded! Thank you! The following information is provided for convenience as part of the service we offer at this website. However, The BABY4BABY.ORG cannot accept any liability for its accuracy or content. Visitors who rely on this information do so at their own risk. BABY4BABY.ORG is not responsible for the contents or reliability of the linked web sites and does not necessarily endorse the views expressed within them. Listing shall not be taken as endorsement of any kind. We cannot guarantee that these links will work all of the time and we have no control over availability of the linked pages. The permission to reproduce BABY4BABY.ORG copyright protected material does not extend to any material on this site which is identified as being the copyright of a third party. Authorisation to reproduce such material must be obtained from the copyright holders concerned. We remain bound by the laws of the EU, including the Charities Act 1993 (as amended by the Charities Act 2006) and Bribery Act 2010. We take a zero tolerance approach to bribery and this is set out in our Anti-bribery and Corruption Policy.